I don't usually try to urge you to buy specific specialty ingredients, but today I'm going to make an exception. 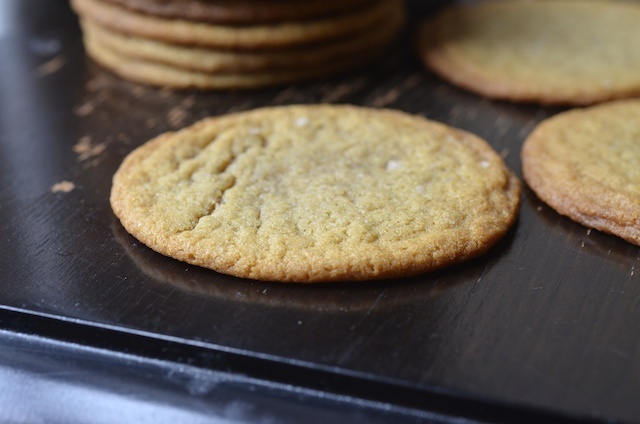 This incredible Thin and Chewy Smoked Brown Sugar Cookies are made with smoked brown sugar, which is a thing that I didn't even know existed until a couple weeks ago. Golden brown and moist like regular brown sugar, this sugar is smoked, giving it a woodsy, smoky richness reminiscent of barbecues and bonfires. Just the sort of thing you might want to rub on meats or sprinkle on popcorn. And it is also amazing baked into cookies. 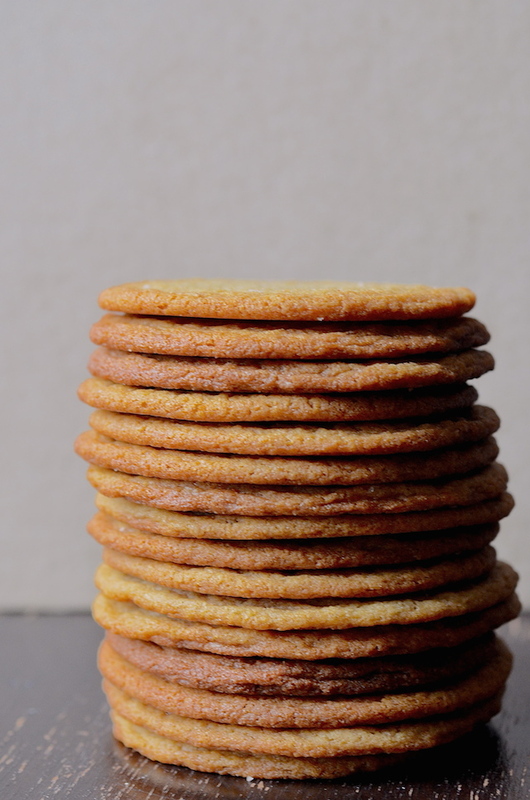 Wanting to make it all about the amazing smoky sugar with no competition from other ingredients, I made these simple thin and chewy brown sugar cookies. It's an easy recipe, but it's the awesome ingredients that make them super special. I love how these have just the tiniest bit of crunch around the very edge, and then the perfect amount of chew all throughout. Try these for your next cookie exchange or party; people will be begging you to find out how you made them! 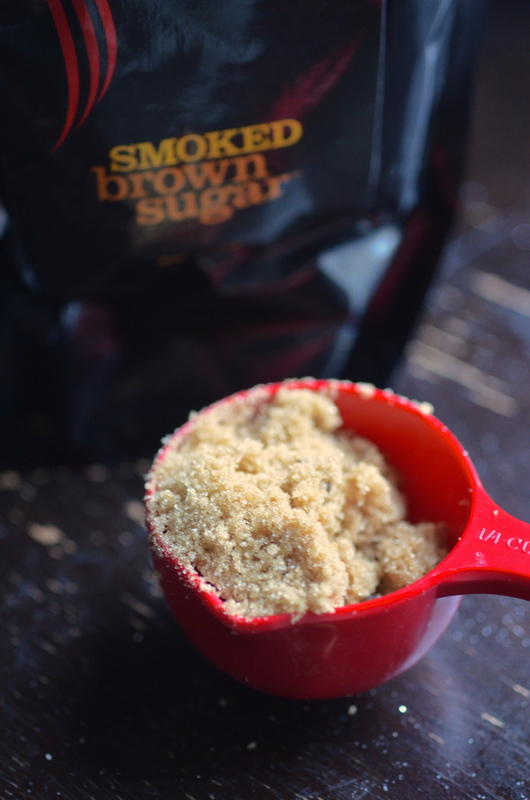 BTW, if you can't get the smoked sugar, this recipe also works using all brown sugar. 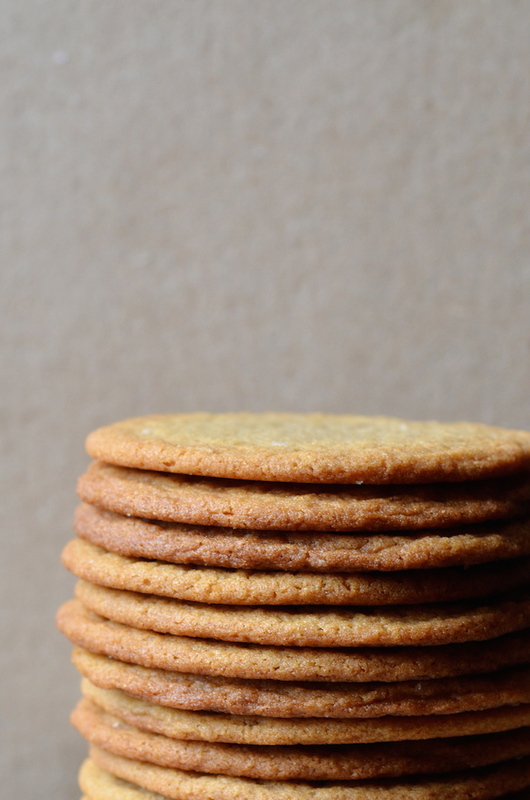 It won't be smoked, but you'll still have a pretty fantastic cookie on your hands! Preheat oven to 350 degrees F. Line two baking sheets with parchment paper or silicon mats. With an electric mixer, beat together butter and both sugars for 5 minutes. Beat in the eggs and vanilla for 1 minute. Add the flour mixture and mix well until evenly combined. Use a spoon or cookie scoop to shape small balls about 2 tablespoons each. Arrange 2 inches apart on prepared cookie sheet, and press down lightly with finger tips. 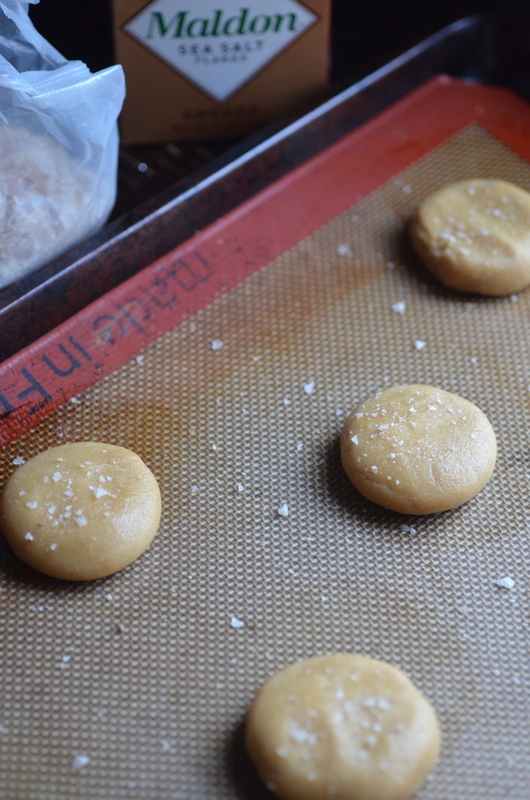 Sprinkle with flaky salt, if using, and bake 8-9 minutes, or until flat and just slightly golden around the edges. Let cool on pan 5 minutes before transferring to a rack to cool completely.